Some people hated the premiere of Star Trek: Discovery and some loved it. I was entertained myself and I will tune in to the series. I did have lots of problems, however there were not enough negatives for me to skip past the series altogether. I will tune into it! I admit I am not the biggest of Trekkies or Trekkers, so I did not read a lot more than just a basic plot of the series before watching the first two episodes. So I did not know what to be expecting. Maybe this is one of the reasons that I was not as disappointed as others. Also, I can except the changes in history and canon and the look of the Klingons. Which I know that’s blasphemy for some out there. 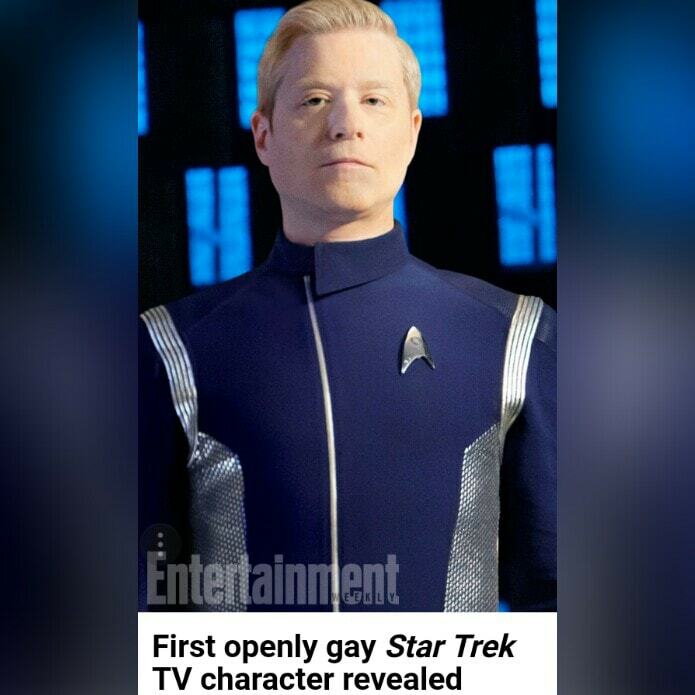 ***SPOILER*** I was anxiously waiting to see Anthony Rapp’s character of Lt. Paul Stamlets and Wilson Cruz as Medical Officer Hugh Culber. Since they did not appear, I was disappointed. I am a bit biased on wanting to like their characters as I was hoping to see these two openly gay actors playing two gay characters in a sci-fi show that has had mostly only heterosexual relationships. So not seeing any hint of either of them, was a downer for me. However I can wait. I will be patient and I do want to see the series based on many other factors besides just this. Although this is just my opinion though. What do you think? Did you like it?